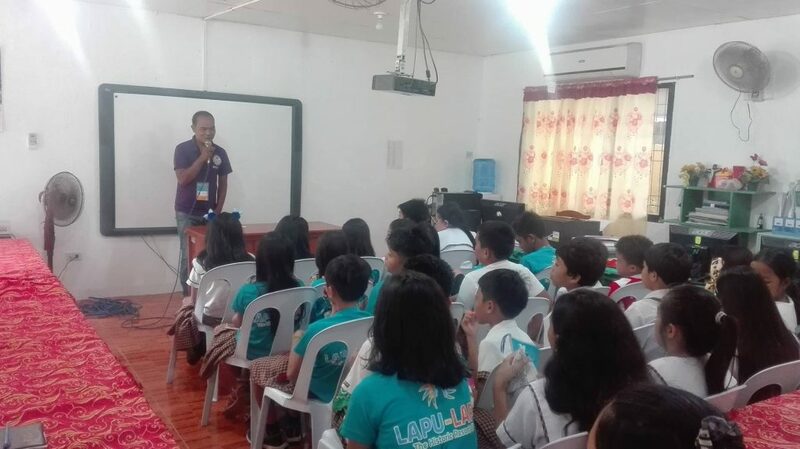 As starting early is key to efficiency and consistency, In cooperation with Pueblo de Oro Cebu, a seminar entitled, “Waste Management for Kids” was conducted for Grade 5 and 6 students of Babag II Elementary School in Lapu-Lapu City, Cebu last February 19, 2018. The seminar focused on proper waste collection, segregation, disposal and recycle of solid wastes . Moreover, the activity was aimed at raising awareness on the importance of environmental protection through household waste management. The seminar was facilitated by Mr. Elpidio Pahugot, the Bantay-Kalikasan Advocacy Officer of Brgy. Babag II, Lapulapu City, Cebu. As a continuing initiative, the seminar will be replicated in other IGFI partner-schools in Lapu-Lapu City.